A few good reasons why to use wooden crates for moving. Take advantage of multiple usage for years. Wooden crates are not something everyone can do on his own. Nevertheless they are very popular and very willingly used for transporting different types of goods. The main advantage of custom build wooden crates is the fact they can be sealed. Crates used by the removal companies to pack items before they are loaded in the ship or truck, or train as cargo are made of several materials. One of the types of materials from which these crates can be made is wood. The the main advantage and the good thing about wooden crates is that they can be customised, that is, they can be made according to the specification of the user. When they are customised, they are known as custom build wooden crates. If you are moving house overseas, an office or a warehouse, you should consider using custom-made wooden crates. There are a number of benefits you will derive from them. Here are some of the benefits of using custom built wooden crates. Wood is a very tough material. Therefore, items including crates made from wood especially hardwood like oak are very tough. They cannot be broken easily. Such strong material gives added protection and safety to your goods. That makes our custom build wooden crates ideal for shipping. If you crate your items with custom made wood, you are sure that your items are secure. They offer better security than some other materials used in making crates. This is because it is almost impossible for any unauthorised person to gain access to it or to break it. Definitely, you will care about the toughness of the crate where your items will be put especially if they are of great value or fragile. 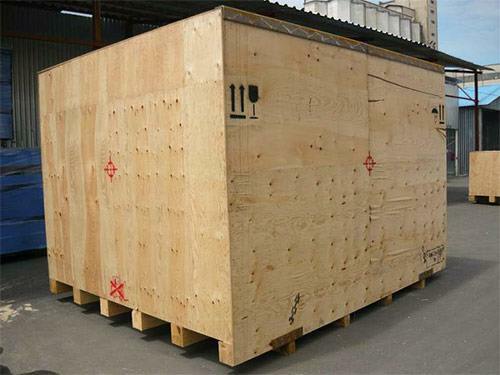 Custom-made wooden crates for shipping to Australia are veritable options for you in this regard. As it has been said, custom built wooden crates offer added protection to the items crated in them. The protection is not only limited to protection against intruders. It also protects the items against the element of weather. 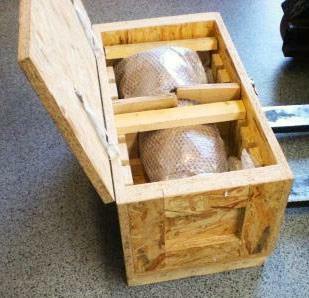 However, this depends to a greater extent on the type of wood that is used in making the crate. Good hardwood such as oak, walnut or even softwoods like cedar are very tough and have strong resistance against the element of weather. You can use them to move items under any weather condition and the items packed in them will remain as they are. So, if you are moving items sensitive to temperature, you should crate them in wooden crates for shipping especially if there is no temperature control features in the vehicle, vessel or aircraft they are being transported with. The toughness of custom made wood crates also give them extra advantage against other crates made from other materials for example from cardboard packing boxes. Because of the hardness and thickness of wood used in creating the crates, they can be stacked up. Putting the crates on the truck or ship does not constitute much problem since you can stack them up and nothing will happen to the crates and the items inside them. Their toughness makes it possible for them to withstand vertical forces. Their weight will be evenly distributed when they are properly stacked up. Wooden crate for transporting goods is the best option for many businesses and private people that want to cut cost on the purchase of crates. If you buy wooden crates, you will use it for a long time. Wood is known for its durability. You can use custom-made crates for ages and nothing will happen to them. Some of the woods used in creating these wooden crates for shipping have natural odour that repel wood eating insects such as termites. When these crates are not in used, they can be kept in a storage facility and nothing will happen to them. When they are used in storing items, rodents and other micro living organisms will not get access to it and destroy the content of the crates. Fungus like mould are not able to grow in wooden crate because they don’t provide a favourable condition for their survival. Custom made removal wooden crates are completely natural because they are made with natural material. So, they are the best option for people that will like to go green. Secondly, they are not toxic and so, they are the best crates for packing foodstuffs, grocery and other items that should not come in contact with chemicals. Custom made wooden crates for sending goods overseas normally are created in such way that they can be assembled or disassembled. They are easy to be assembled and disassembled. If you are not using them, you can disassemble them and store them very well. The above are some of the advantages of custom built wooden boxes. Wooden crates for international removals come in different shapes and sizes. They can be small, medium or large. Whatever you want to export they can be tailor to the dimensions of your dispatch. The main advantage of shipping goods in wooden crates is added safety and protection for your furniture and equipment. Crates made of wood are strong, durable and first and foremost can be locked up and sealed. Thanks to using them your consignment will be kept apart from other cargo. There is no chance someone could see what is inside. If you have the proper tools and skills you could design and build a wooden crate on your own which would be the cheapest option. Of course most movers can provide the wooden crate design and build services. However they do not do it themselves. Most of them subcontract the design and build work to local carpenters and joiners. Our tip is if you have some spare time and want to reduce your shipping costs you can visit a local carpenter and have him to do the job for you. By going directly to a company that specialize in woodwork you could save money by avoiding commission. We can design and build a wooden crate for shipping according to your requirements. You tell us the dimensions and we will make the shipping wooden crate you need. Contact us to find out how much we charge for our tailor made crates.